March 1st over 15,000 students walked out of seven East LA high schools (Garfield, Lincoln, Wilson, Roosevelt, Belmont, Venice, and Jefferson High School) and were also joined by parents along with supporters in the community to fight for better education and equality among students in schools. Chicano students, teachers, parents, and community members met and formed the Educational Issues Coordinating Committee (EICC) to present the concerns of all those involved in the walkouts at a meeting the LA Board of Education agreed to have with them in order to resolve the issues they'd been having. Over 1,200 people attended a community meeting with the LA Board of Education held at Lincoln High School. The EICC stated all of the 39 demands they felt the Board should have met, and when they claimed they simply did not have the money to meet some of their demands, the students walked out of the meeting. Thirteen of the walkout organizers, who went on to be known as the East LA 13, were arrested for "conspiracy to disturb the peace." Students and community members immediately gathered outside of the Hall of Justice in Downtown LA and began protesting to have the East LA 13 released. Twelve of the 13 were soon after released. Sal Castro, a teacher and organizer of the walkouts, was kept for much longer as he had the most amount of charges being pressed against him. Castro was released on bail, but had lost his teaching position at Lincoln High School. Over 2,000 people gathered outside of the Central police station to demand he be reinstated at once. 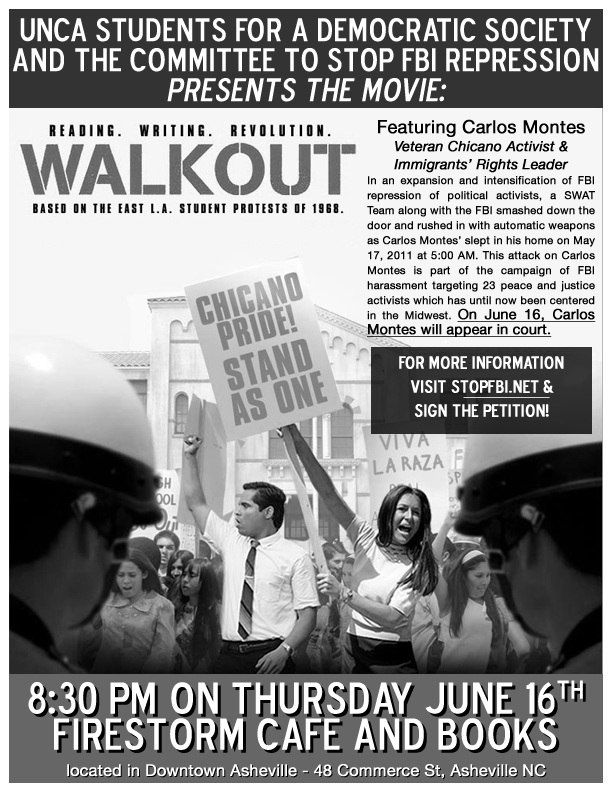 Thirty-five people began round-the-clock sit-ins at the LA Board office until Castro resumed teaching. Over the course of a week, the Board got together and came to a decision on October 2nd to let him return to his job. This same day, the 35 demonstrators were arrested. Sal Castro returned to his teaching job at Lincoln High School.